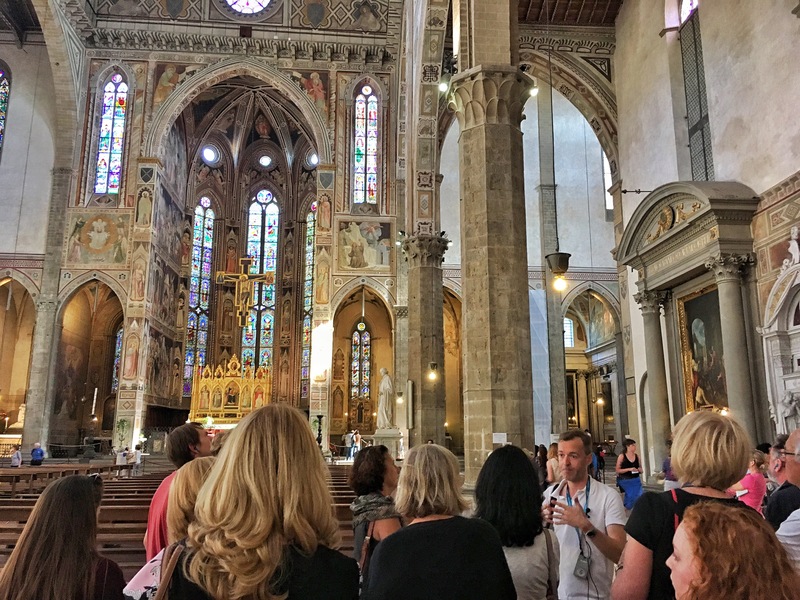 The Basilica di Santa Croce is one of Firenze’s many beautiful churches. 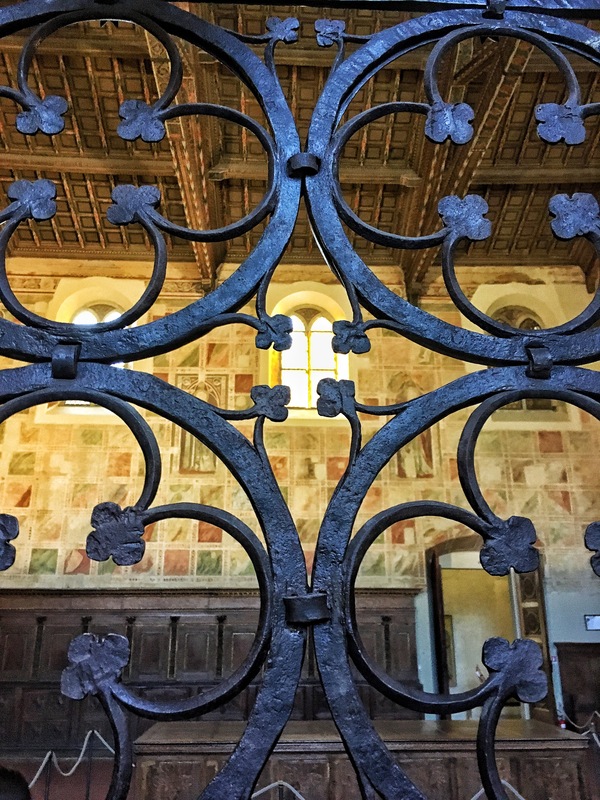 It’s impressive exterior is matched on the inside, not just architecturally and artistically, but by the remains of the city’s famous residents that it houses, from Michelangelo to Machiavelli. If you have a few hours to kill, this is definitely a place to visit. The contents span centuries, showing the diversity and richness of Florentine art, culture and history. 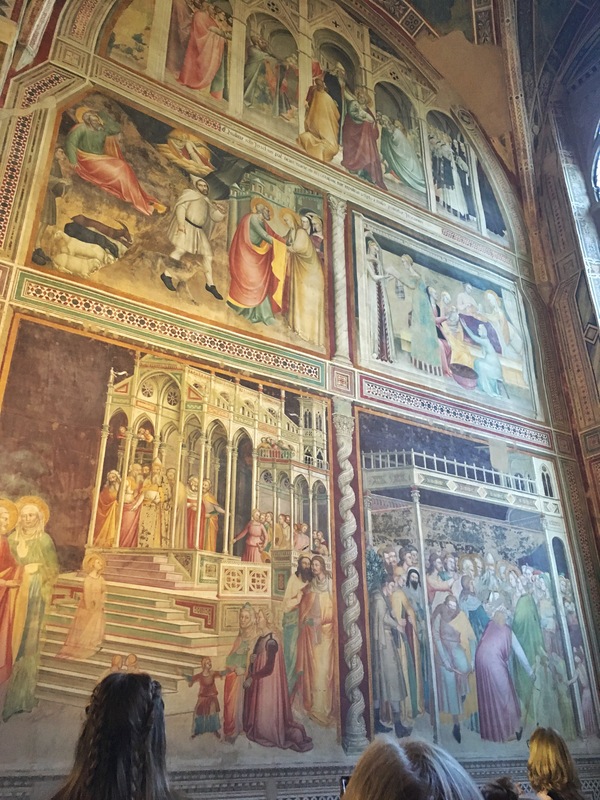 Below are some of the frescoes found in the Rinuccini Chapel, located in the Sacristy, which were created by Giovanni da Milano and Matteo di Pacino. Below is one of the restored pieces, damaged by the 1966 flood. This particular example of Saint James, is by Lorenzo Monaco, one of my favourite artists.